At Architectural Woodcraft, we are constantly growing in our creative capacities. Responding to growing interest in contemporary and modern designs, we have expanded our capabilities and now have a separate 2500 square foot metalworking studio. We use this space for fabricating steel components for furniture, cabinetry and doors. 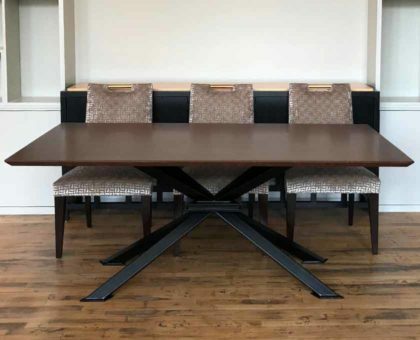 Sometimes the component takes center stage, as a primary design element, like it does in this wood table with extraordinary steel legs shown in the photo. Other times, we use steel as hidden reinforcements of wood furniture, cabinetry or architectural features, to give them the strength to do something we couldn’t do with wood alone. We can also fabricate welded steel architectural features. 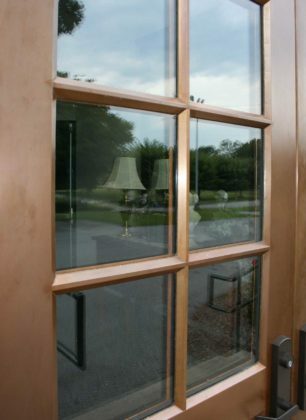 Another special metalworking capability we have is the copper-cladding of windows and doors. 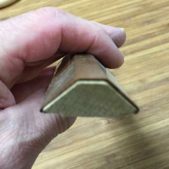 We have a 10-foot metal break, a tool used for creating exact bends in sheets of metal, which allows us to optionally clad our doors and windows with a thin skin of copper. The skin of copper is bent to the exact same contours of the door’s trim, and the seams are soldered together. The result is beautiful—a traditional window or door that is sealed against any weather, and potentially lasts hundreds of years, but also just gets more beautiful over time as the cooper’s patina ages. We have experience also with stainless steel, and have used it for creating custom counters, bar tops, and decorative elements. We love being challenged to built almost anything imaginable! Let us build something for you.